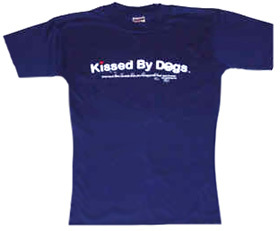 A great tee-shirt for Dog Lovers! A perfect gift! Dog Breed Gifts Pet Lover Home Accessories Cool Dog Stuff! The Ultimate Shopping Mall for Dog Owners. Select a Dog Gift Item From OVER FIFTY BREEDS!! of a 50% cotton / 50% polyester heavy blend with white screen printed logo. Machine washable. You Remain Under Their Spell Forever." men and woman dog lovers alike!